The Pavi. Another quick sketch of one of my favorites. 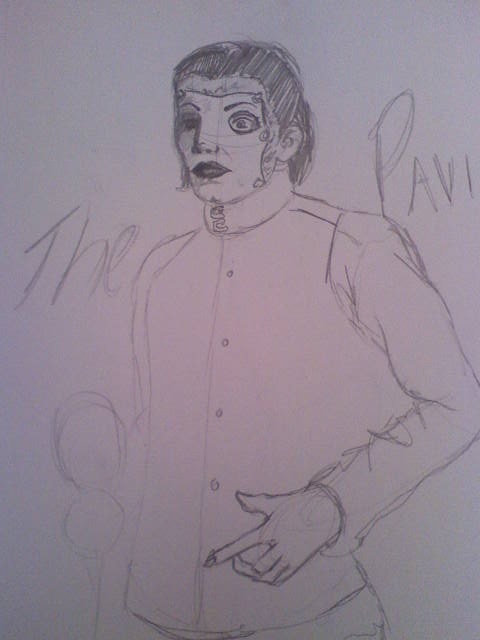 Meh, it could have been better, but Pavi's womanface mask is REALLY hard to draw D:. Wallpaper and background images in the Repo! The Genetic Opera club tagged: pavi largo sketch. This Repo! The Genetic Opera fan art might contain anime, komik, manga, kartun, and buku komik.